As the Yuletide spirit is among us, and the frenzy of holiday shopping has begun, 17 budding entrepreneurs from the Merrimack Valley are preparing to participate in a 12 week program called the 2014 Winter Accelerator Program. Hosted by The Merrimack Valley Sandbox, this is their third program since launching it in the Winter of 2013. The Indigo Pixies were fortunate enough to be chosen as one of the 17 finalists out of the 61 applications they received and we are ecstatic to say the least. 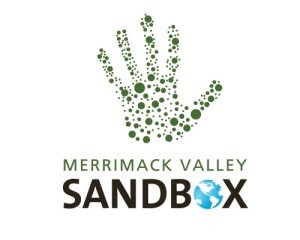 So who is the Merrimack Valley Sandbox and what do they do? The Sandbox’s mission is to boost the economic and well-being of Greater Lowell and Lawrence by advancing entrepreneurship and innovation. It is offered twice a year ( Summer & Winter ) and is free to apply. In the past, the program has helped over 25 businesses and non-profits including a running shoe tracker, a vegan ice cream company and a non-profit that helped juvenile offenders avoid jail time. Founded in 2010 by the Deshpande Foundation, the program is designed to help start- up companies in a few ways. First, it serves as a networking platform by hosting events to help connect both individuals and organizations to develop new relationships. Second, it assists in the facilitation of ideas and brings them into actual businesses. Third, it helps spread the entrepreneurial mindset, encouraging the youth by giving grants to experiment with their ideas and lastly, the Sandbox encourages socially responsible leadership by offering a program to local leaders to help strengthen both their organizations and communities. Why is The Winter Accelerator such an amazing program? It offers start-up companies the support they need through 3 months of mentorship, weekly education and workshops, free work-space and the opportunity to compete for $30,000 in cash prizes to launch your businesses. It also allows entrepreneurs to network with industry executives they would have never had a chance to meet if it wasn’t through the mentorship. Think of this like the TV show “The Voice” but for businesses. The mentors are paired up with the founders of the companies to act as their advisory board to help them build a strong sustainable business or non-profit. What does the Sandbox look for when choosing start ups? They look for either a business in the pilot stage of development or an idea or concept where the applicant has done enough research to define a target market and a way to reach them. The purpose of the Winter Accelerator is just that, a way to accelerate a business idea that may never of had a chance at becoming a viable business. That’s what’s so great about it. Many people have light bulb moments but never act on them because of lack of access to the education, funding or even guidance to make it come to fruition. The Merrimack Valley Sandbox is the electrical outlet for the light bulb. The Merrimack Valley Sandbox is giving my business, The Indigo Pixies a chance to be able to take our books and songs and help educate both parents and children on the importance of gently transitioning through their developmental milestones. If it weren’t for their program, we wouldn’t have access to the education, the resources and the opportunity for our business to thrive. This holiday season, The Merrimack Valley Sandbox is giving a chance to local entrepreneurs to make their dreams of owning their own businesses .This in turn positively impacts our communities, both on a social and financial level. I wish the organization the best of luck in it future endeavors.